shahi paneer recipe | how to make restaurant style shahi paneer with detailed photo and video recipe. a spicy and creamy paneer recipe prepared in yellow onion sauce. it is typically served as main course with tandoori roti and garlic naan, but can also be served with steamed rice or jeera rice. 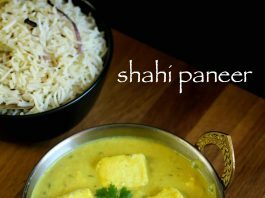 shahi paneer recipe | how to make restaurant style shahi paneer with step by step photo and video recipe. 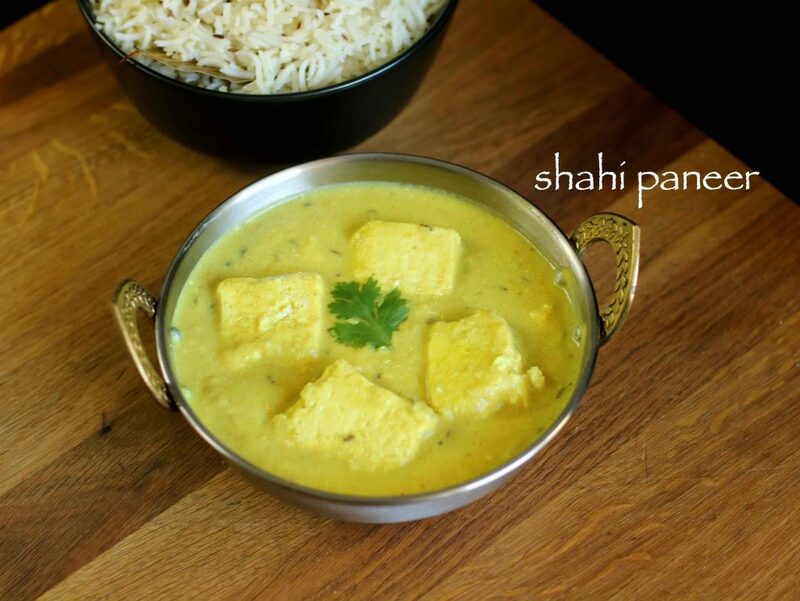 shahi paneer is a typical north indian paneer gravy recipe prepared with rich spices. basically a royal dish prepared with cream, cottage cheese, onion based gravy and cashew and almond paste. further the curry is even added with saffron strands to make it even more rich. paneer recipes are always my favourite recipes, and especially those recipes which are creamy and rich. i was thinking to prepare and post shahi paneer recipe long back but somehow wasn’t able to. but finally i am posting this much awaited paneer recipe after several request. moreover, you would be surprised to learn that shahi paneer recipe does not require tomatoes. 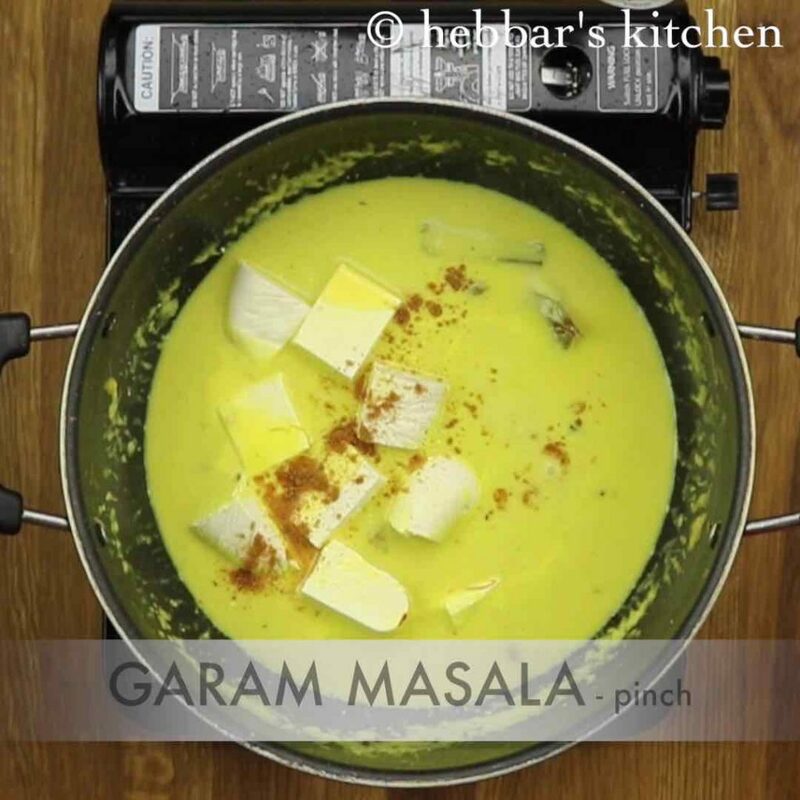 yes you heard it right, and this creamy paneer gravy is prepared from onion base, cooking cream and yogurt. besides, some important tips for a perfect and royal shahi paneer recipe. firstly, do not skip to add cashew and almonds while grounding. the richness of dry fruits is essential for this royal paneer curry. secondly, while adding saffron milk to this curry is optional but i would highly recommend add it. in fact, saffron gives this recipe a true meaning to ‘shahi’ which is royal. lastly, avoid adding tomatoes and chilli powder to shahi recipes. typically shahi paneer recipes are yellow in colour and adding these two would make them red in colour. firstly, boil onions, green chili, cashews and almonds. 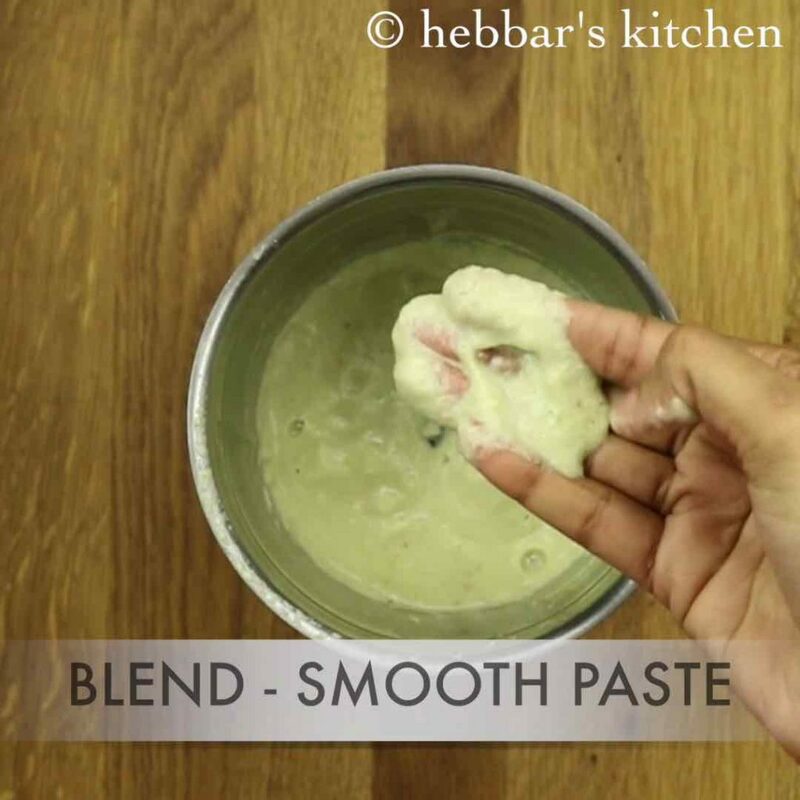 boil for 5 minutes and blend to smooth paste. 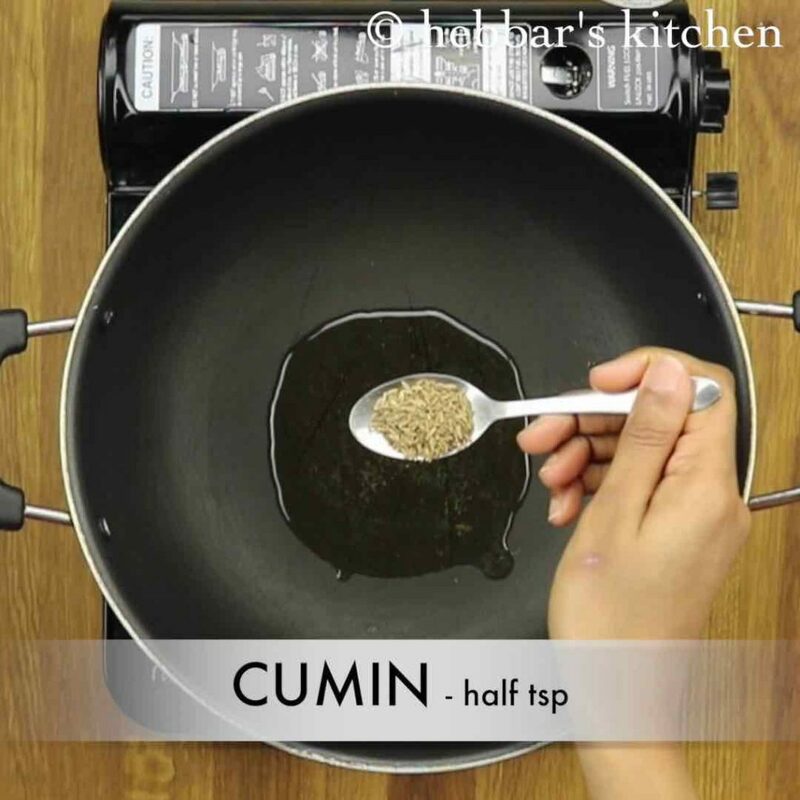 firstly, in a kadai heat oil and add cumin seeds. also add cardamom, bay leaf, cinnamon stick and cloves. furthermore, add ginger-garlic paste and saute . 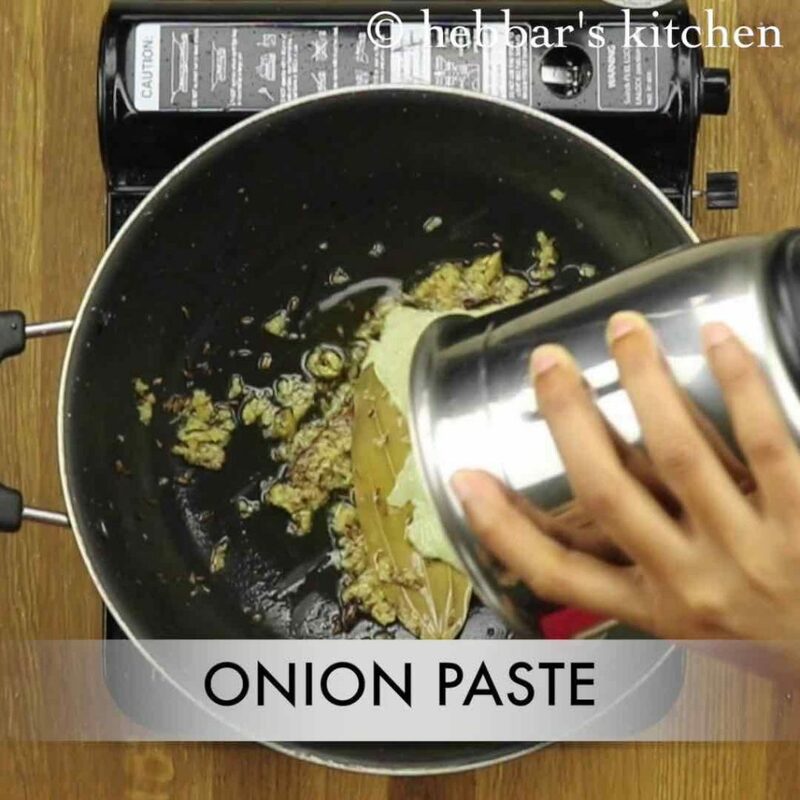 now add the prepared onion paste and saute. 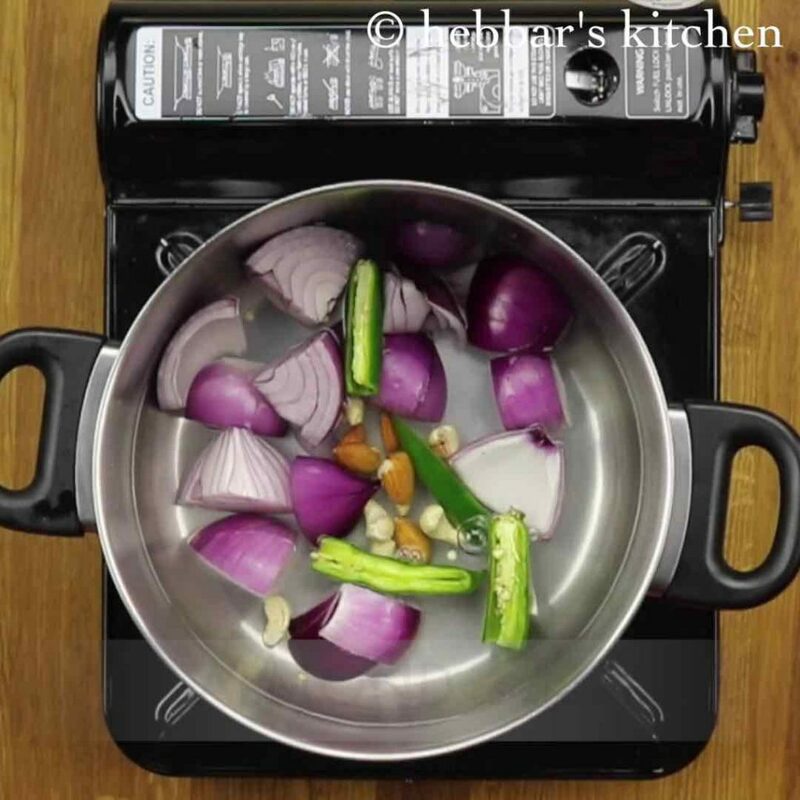 saute continuously for 5-6 minutes. also add turmeric powder and salt. saute till the masala paste start releasing oil. further add water, curd and cream. 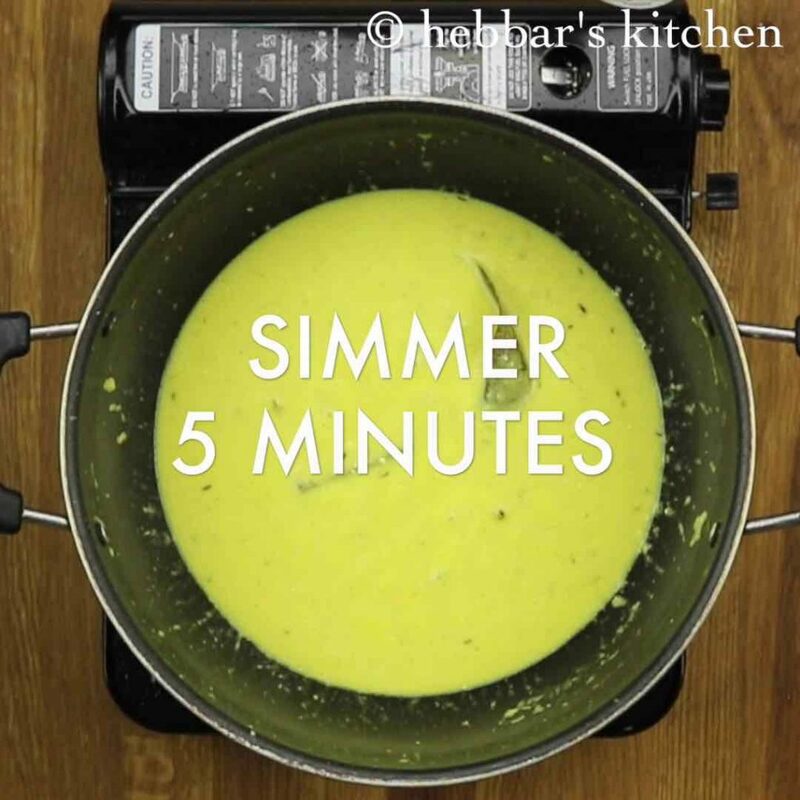 mix continuously and simmer for 5 minutes. then add the paneer cubes and saffron milk. also add garam masala and mix gently. further, cover and simmer for 5 minutes. finally, garnish with coriander leaves and shahi panner is ready to serve with rice or roti. 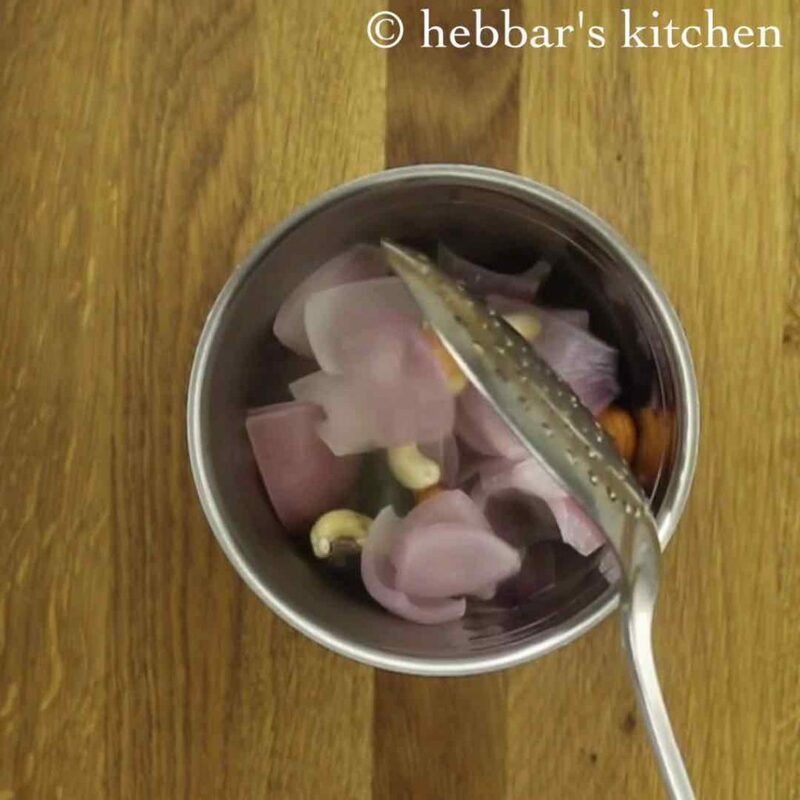 firstly, in a large vessel boil roughly chopped onions, green chili, cashews and almonds. cashews and almonds helps to make gravy rich and creamy. 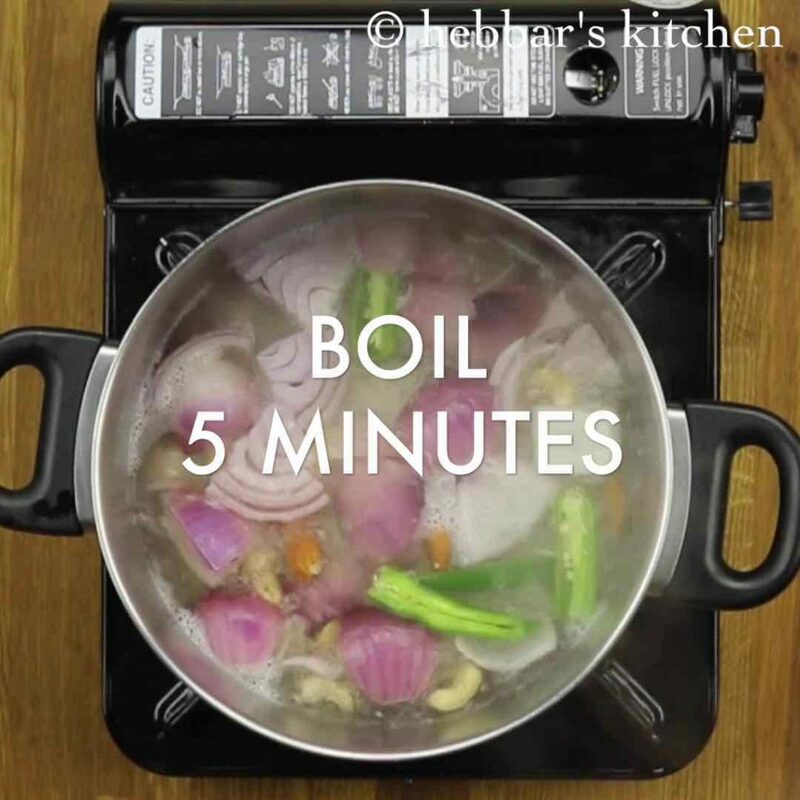 boil for 5 minutes or more till the onions turn translucent. furthermore, drain off the water and transfer to a blender jar. 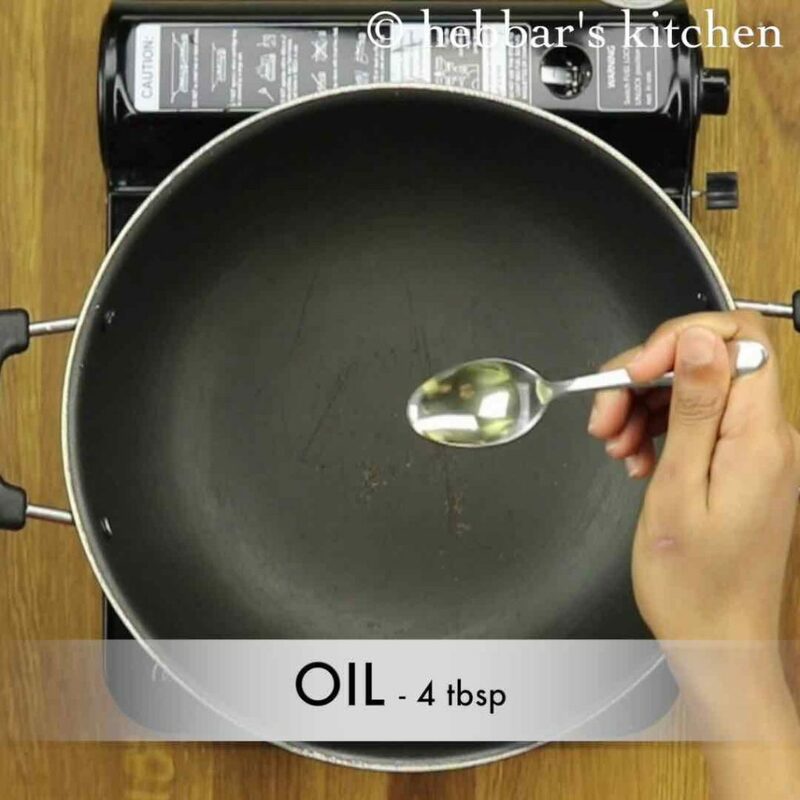 firstly, in a large kadai heat about 4-5 tbsp of oil. 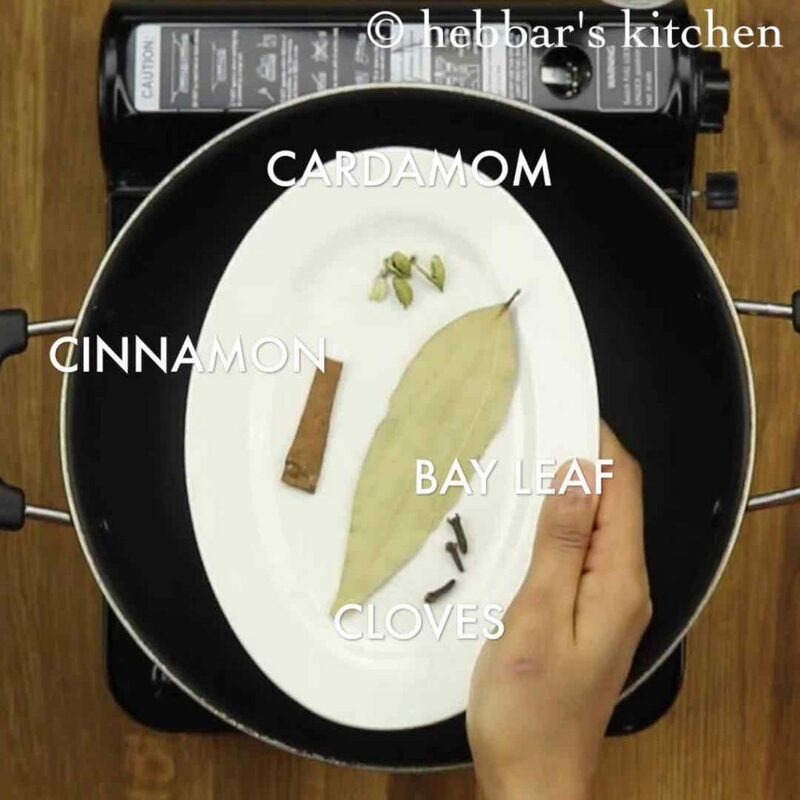 also add cardamom, bay leaf, cinnamon stick and cloves. saute till they turn aromatic. 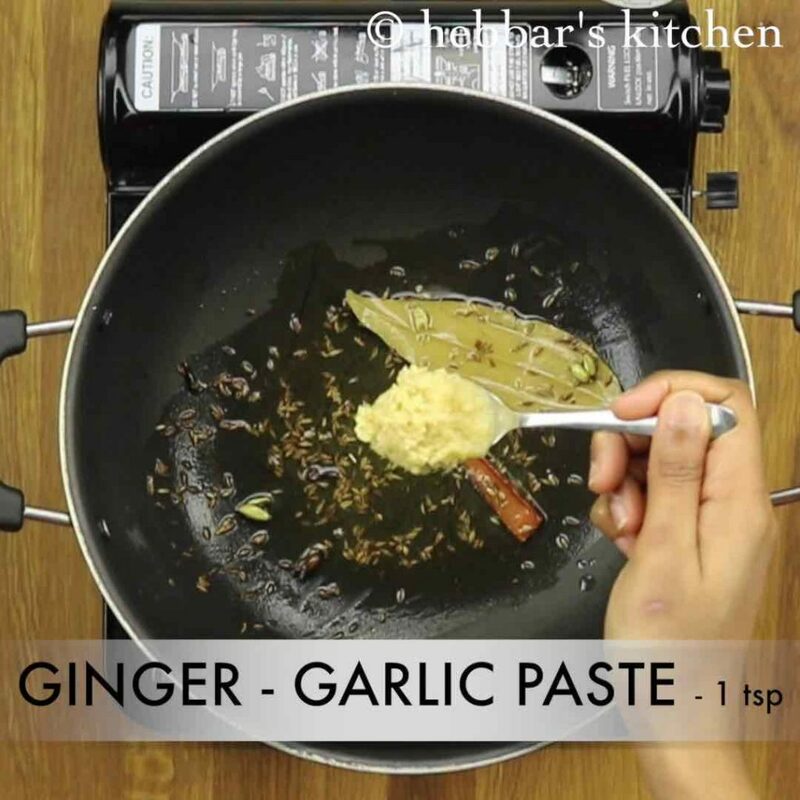 furthermore, add ginger-garlic paste and saute till the raw smell disappears. 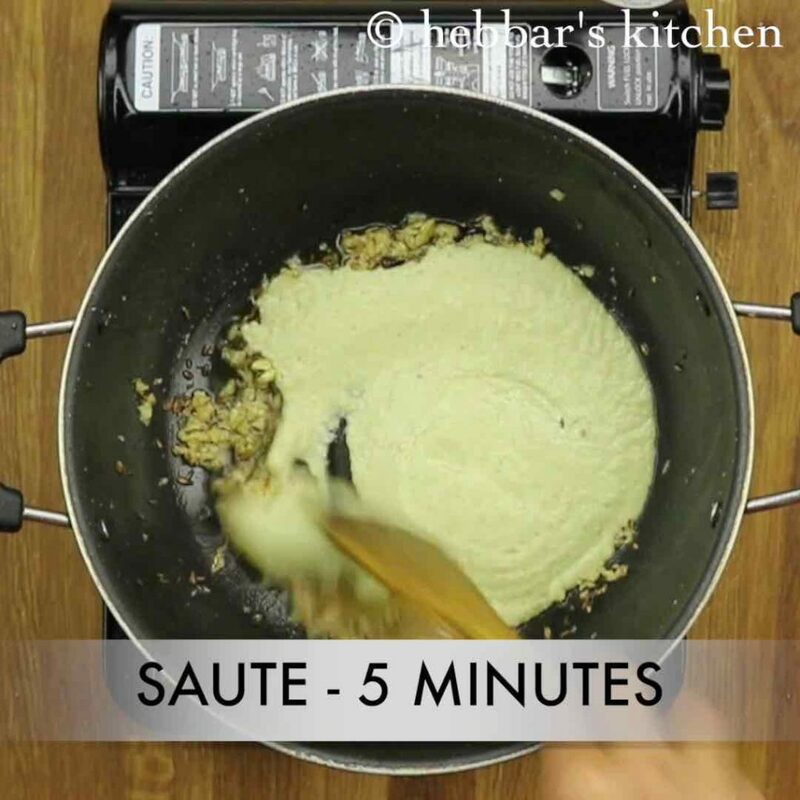 saute continuously for 5-6 minutes without burning the paste. 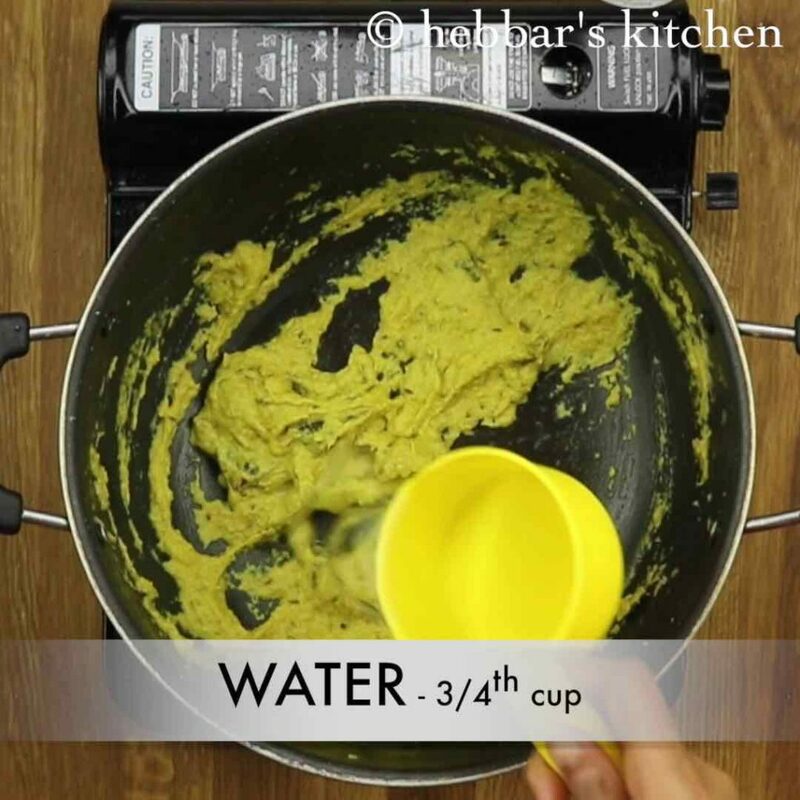 further add ¾ to 1 cup of water depending on the consistency. 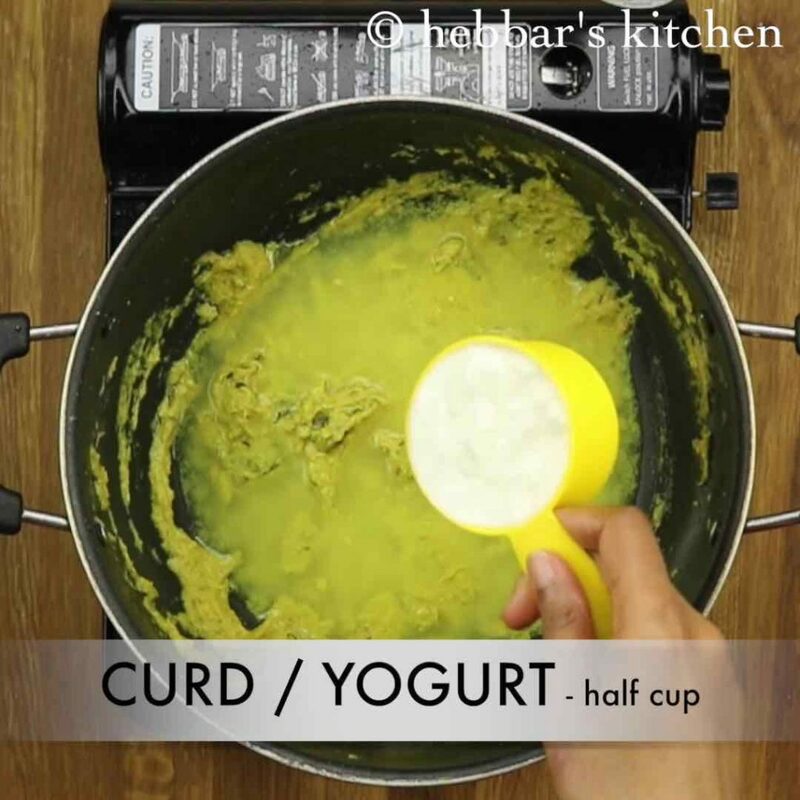 also add whisked curd. make sure to add curd keeping the flame on low. furthermore, add cream. 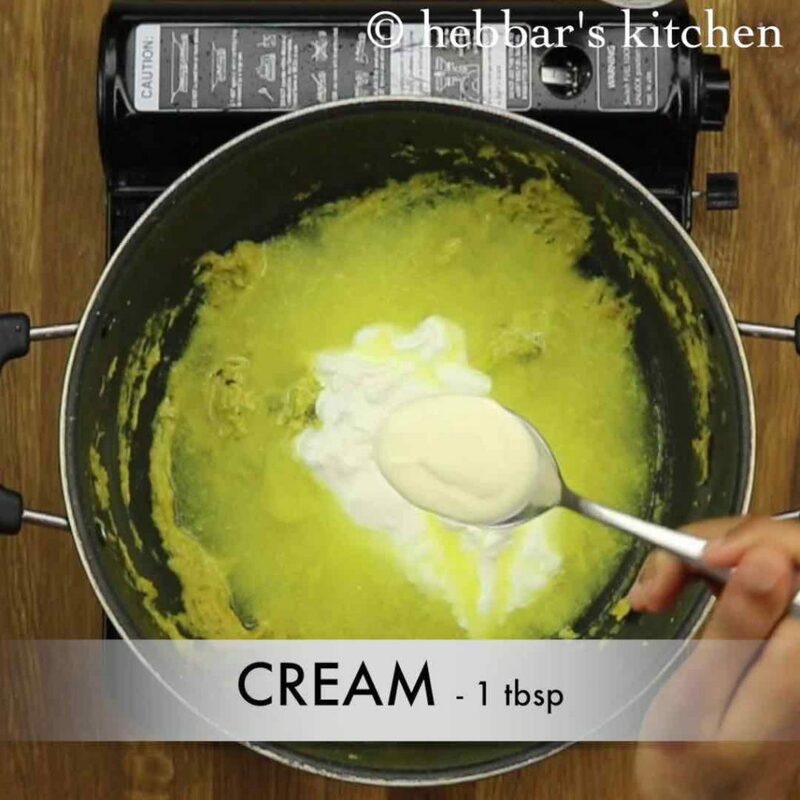 add more cream if you like the rich flavour in curry. 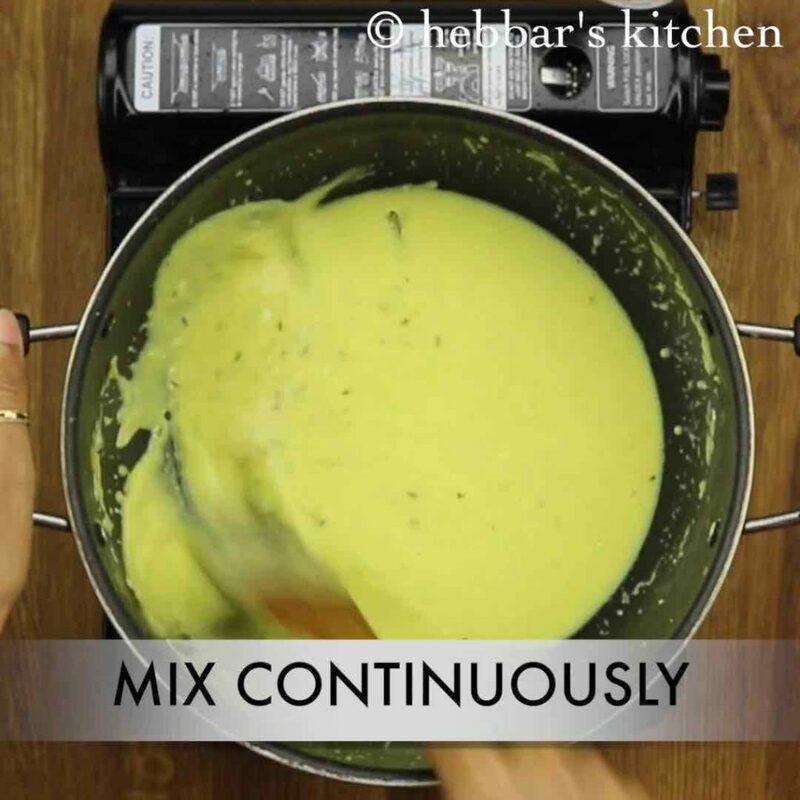 mix continuously making sure the curd and cream blends well with masala paste. 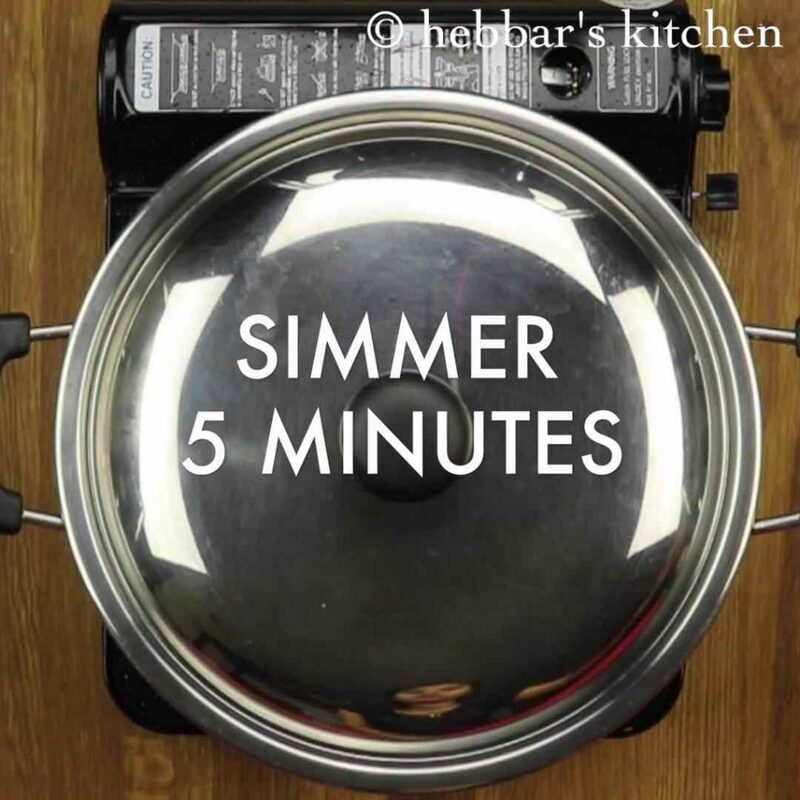 further, simmer for 5 minutes. 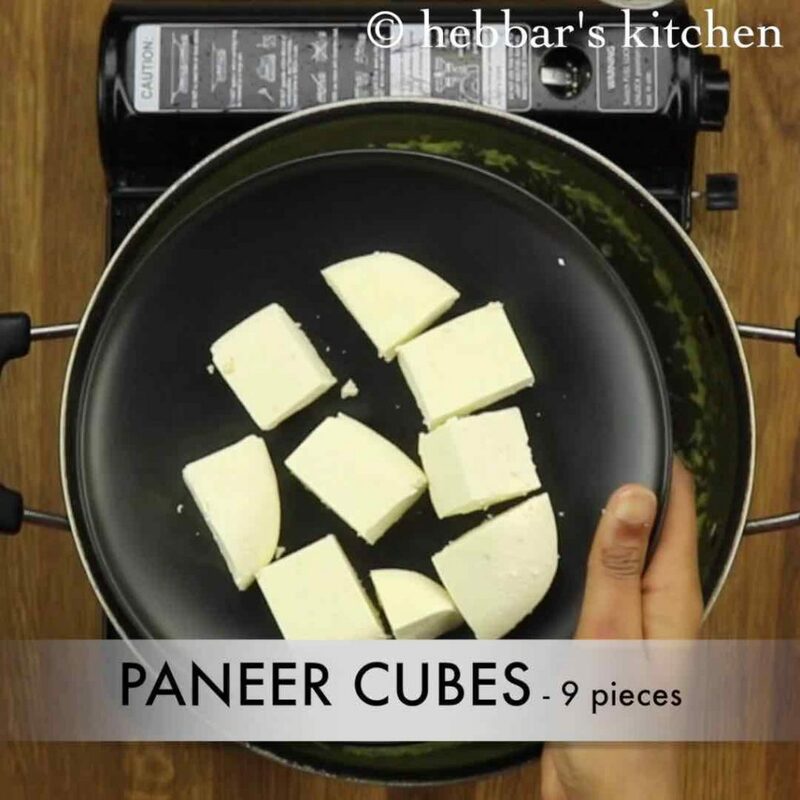 then add the paneer cubes. cut the paneer as per your preference. add saffron milk. 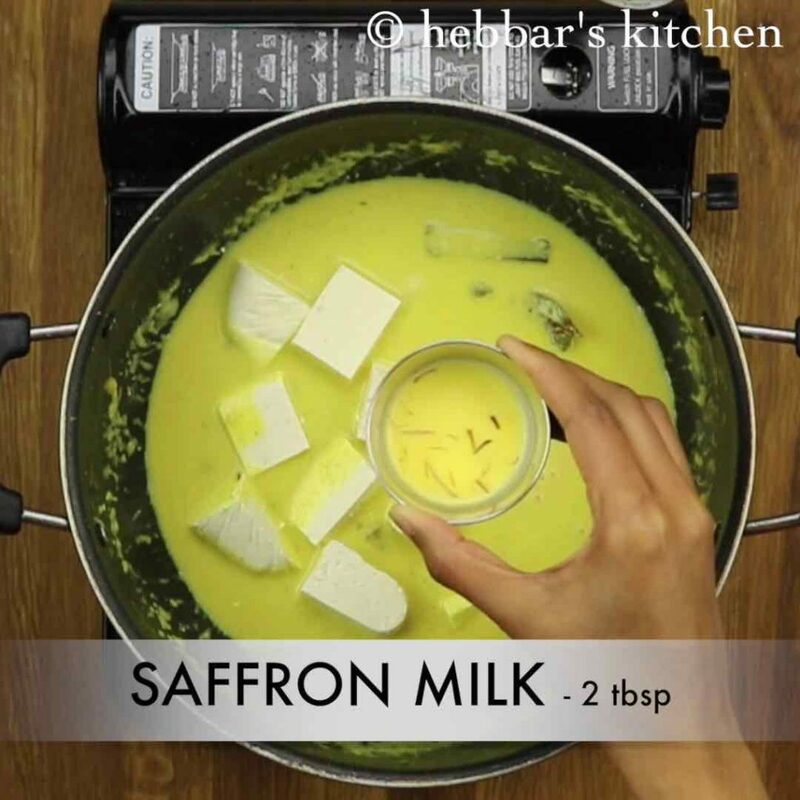 to prepare saffron milk, soak 2 strands of saffron in 2 tbsp of warm milk for 10 minutes. also add pinch of garam masala and mix gently. further, cover and simmer for 5 more minutes. finally, garnish with coriander leaves and shahi panner is ready to serve with jeera rice or roti. firstly, kewra water is added for more rich aroma. 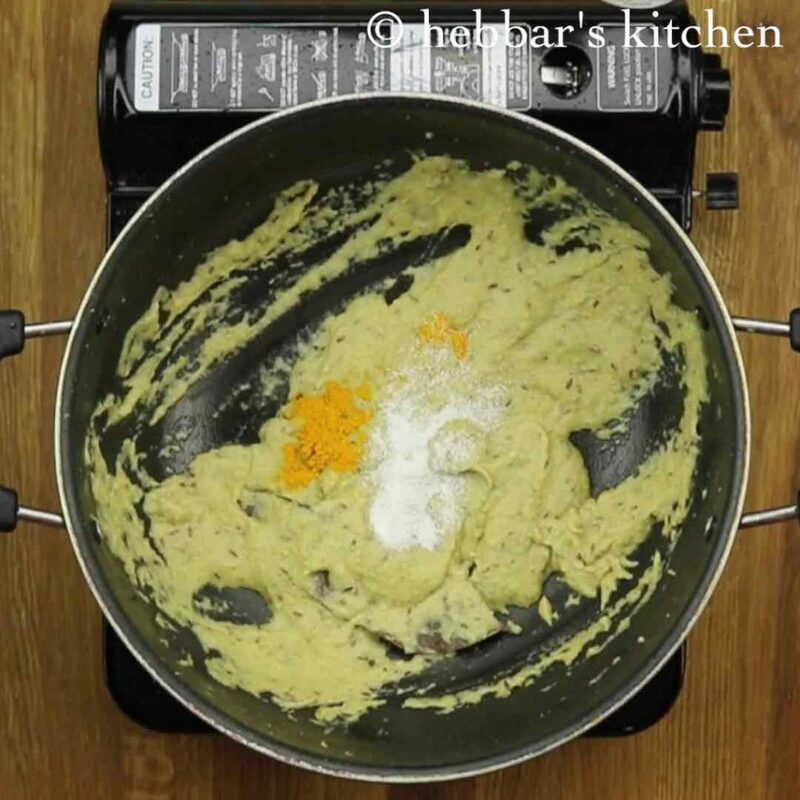 furthermore, cashews and almonds helps to make gravy rich and creamy. however, you can just use cashews or almonds only. also, make sure to boil onions, chilli and cashews without sauting. as sauting will make curry slightly reddish. moreover, do not add tomatoes as they make curry reddish. for sourness we are using curd. most noteworthy, avoid adding red chili powder and use just green chili for spiciness. because red chili powder change the colour of curry. 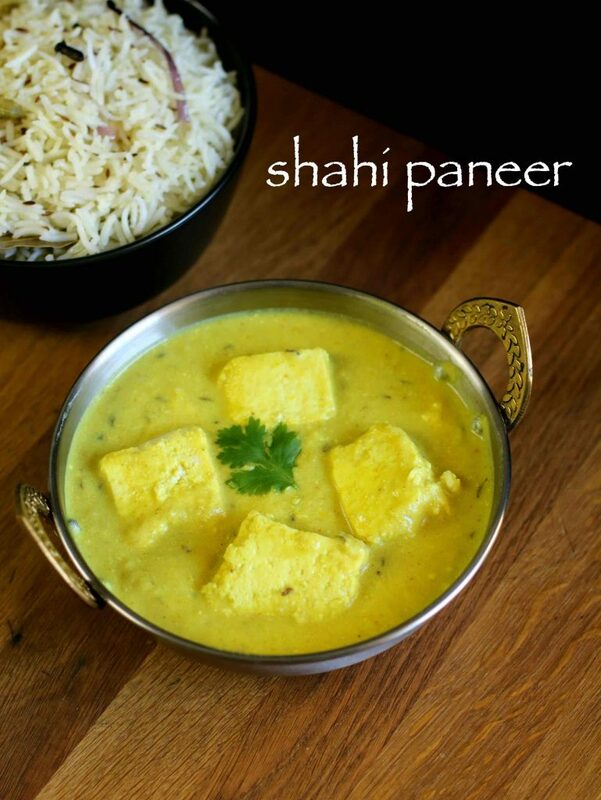 finally, shahi paneer taste great when prepared it creamy and less spicy. Thanks a lot 🙂 sure i will.. Thanks for Shahi paneer recipe. I tried it n it s awesome. this is not shahi paneer but Kadi paneer. this is not Kadi paneer. you add dahi and besan for kadi paneer. also you do not add dry fruits in it. 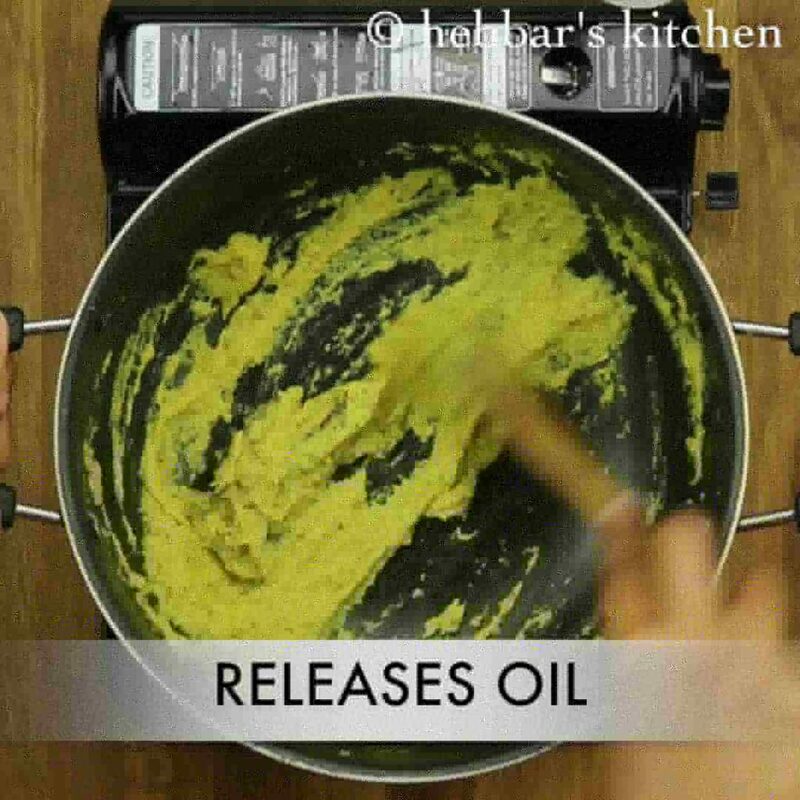 This is not the right way to cook shahi paneer .